Tufnell Park mainly falls in the N7 postcode, nestled among better-known neighbours such as Camden Town, Archway, Holloway, Hampstead and Highgate. The Dartmouth Park enclave - in the NW5 postcode - is the most desirable part as it sits closest to Hampstead Heath. 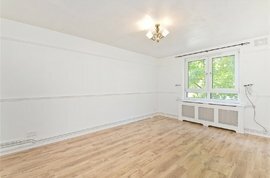 Why not browse our collection of properties in Tufnell Park? Convenient for the City as well as the West End, Tufnell Park attracts young professionals, city workers and also families who want more bricks and mortar for their money, as well as access to some of North London's most respected schools. With its friendly feel and excellent public transport connections, this small community contains pockets of relative affordability and continues to represent excellent value in North London. Tufnell Park was renowned for its dairy farms that kept London and the South supplied with milk. Surprisingly, it kept its rural air well into the 19th century, despite its location so close to central London. In 1753 the area became the property of William Tufnell, who was granted the manor of Barnsbury by his father in law. The manor, now demolished, stood on the site of the Holloway Odeon. The manor's gateposts can still be seen on Tufnell Park Road. Tufnell Park fared better than its neighbours when the railway arrived. Where train lines sliced through Kentish Town and Camden in the 19th century, they mostly passed through Tufnell Park underground in tunnels. This pattern continued when roads were built in the 20th century, as these too, curved round, rather than through, the peaceful enclave. Tufnell Park remains primarily residential, offering pleasant tree-lined streets of Victorian terraces. The neighbourhood is better suited to those who want to live away from the hustle and bustle of vibrant street-life, although there is a social scene for those who need their social fix. Pubs and bars include Aces & Eights, The Boston Arms, The Junction Tavern and The Tufnell Park Tavern. The latter establishment has a great food menu, while the Spaghetti House is recommended for simple fuss-free Italian food. Tufnell Park is a Zone 2 stop on the Northern Line and is also close to Kentish Town station. Holloway Road extends from Archway to Highbury Corner, where the Victoria, Piccadilly and North London Tube lines converge. Buses on Holloway Road serve the West End and the City. Tufnell Park does not have a traditional high street to speak of but there are interesting independent shops in small parades dotted around the neighbourhood. The main local shopping area is along the Holloway Road. There is a large supermarket as well as an indoor market. Despite its name, Tufnell Park has no eponymous green space but there is a recreation ground and a small park on the far side of Tufnell Park Road. There is also a cute park, converted from of a row of houses bombed-out in the Second World War, on the far side of Tytherton Road. 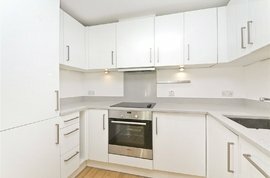 Parliament Hill and Hampstead Heath, are, however, close enough for Tufnell Park residents to access with ease. 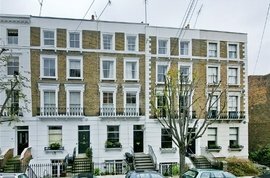 N7 and NW5 have a distinct Victorian feel, with rows of smart brick terraces. Many of the larger dwellings have been split into flats. 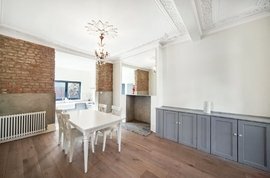 Although finding a large Victorian house intact is a real scoop, some buyers are converting the flats back into single dwellings, where permission is granted. 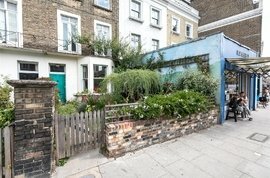 Properties for sale in Tufnell Park do include a number of ex-local authority flats that were part of the original 'right-to-buy' movement, thanks to frenetic inter-war house building. Double fronted Victorian houses for sale in Tufnell Park command the greatest premium, and there are some fantastic examples along Huddleston Road. 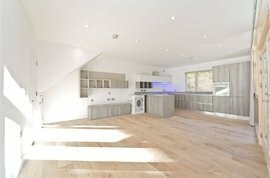 Other premium addresses include Anson Road, St George's Avenue and Archibald Road in N7, with Boscastle Road, Dartmouth Park Road, Dartmouth Park Avenue and Laurier Road remaining much coveted in NW5.